Marco Behrmann Product Manager at Pillars of Eternity and Paradox Interactive has taken to the official PlayStation blog this week to reveal that the fantastic Pillars of Eternity: Complete Edition will be available on the PlayStation 4 and Xbox One in a few months time from August 29th, 2017 onwards. 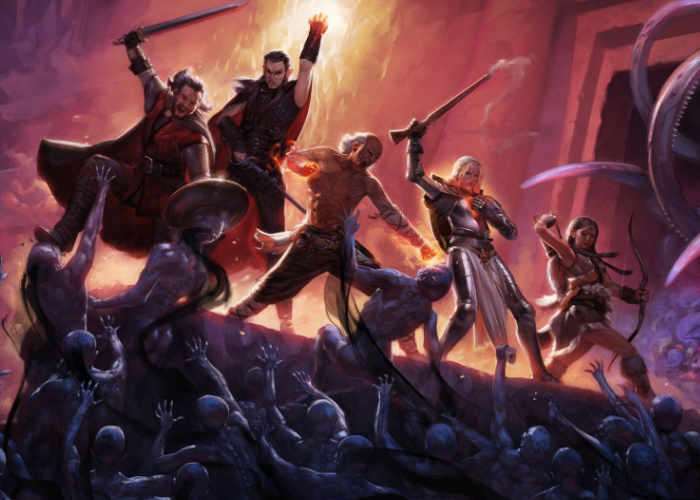 If you haven’t yet played the award-winning Pillars of Eternity role-playing game, check out the video below to learn more about what you can expect from the fantastic game which initially launched via Kickstarter thanks to backing from 75,000 gamers. Today, together with our friends at Obsidian, we are thrilled to announce that this once-in-a-lifetime RPG is ready for PlayStation fans everywhere, in Pillars of Eternity: Complete Edition. And we do mean “complete” — not only will you get to experience the original Pillars of Eternity on PS4, but you’ll also visit the expanded world and new characters from The White March: Parts I & II, the two expansions that arrived alongside the core game. You’ll have the full experience in your hands on August 29th, 2017, available at PlayStation Store and in game stores everywhere! Every piece of the award-winning story, artwork, and writing is coming to PS4, ready to look its best on your TV — and play its best in an enhanced console interface, with controller-friendly menus, combat, and party management, all developed for console players from the ground up by our own Paradox Arctic studio.